We all know that coffee is a natural and habitual part of our daily lives. There is something incredibly satisfying about finding your local, the place that makes your coffee just the way you like it, where staff greet you like a long lost friend and you’re left to do as you please for as long as you wish. Whatever our reason, whether it’s to do with location, the friendly atmosphere, access to wifi or the range of coffee available, all of us have a local we trust. 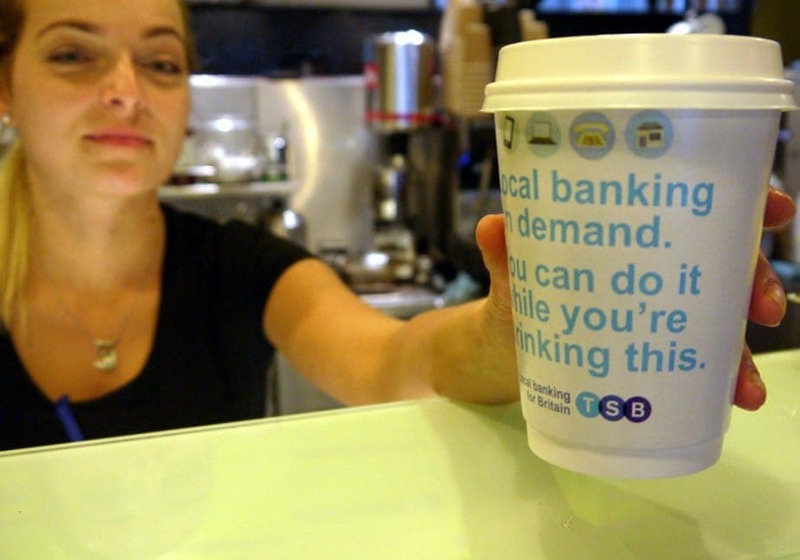 TSB prides itself on local banking that sets it apart from other banks in the market. There is a simple focus on individuals and local businesses where all the money belonging to local communities stays in Britain. The brand wants to instil a sense of openness and trust. 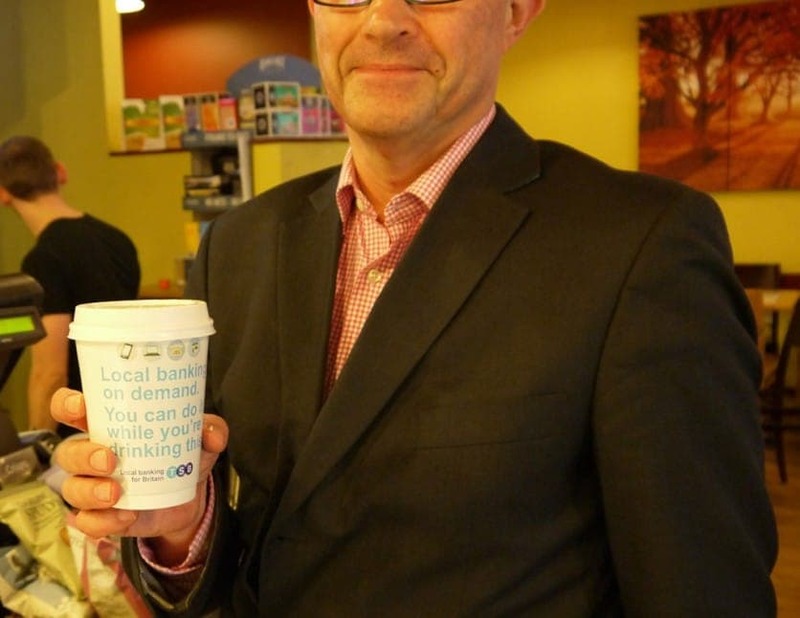 All this fits perfectly with the premise of local coffee shops and explains why TSB chose Coffee Cups to support a local banking initiative. There is also the added link with Coffee Shops as a space where consumers are actively taking a break from their busy day, the kind of time spent banking on the move. TSB have found an intuitive, effective way to get their message hand-delivered by local businesses in communities across the country. The campaign was planned and booked by MGOMD and Talon Outdoor.